Whether watching the big game, hosting a summer barbecue, or making toppings for taco night, having a foolproof guacamole recipe that is easy and delicious is a victory for any home cook. The trouble with most guacamole recipes, however, is that since avocados differ in size and varieties, the recipe will often turn out different as well—too much seasoning or citrus, or perhaps not enough. The trick is to fine-tune the ingredients to your taste. So feel free to adjust the measurements of the ingredients to your liking. And even though this one is made with such shortcuts as garlic powder and salsa from a jar, the results always impress. But of course, you can substitute with chopped fresh garlic and homemade salsa if you wish. Cut the avocados in half, squeeze out the pit (just gently squeeze the outside of the avocado until the pit pops out), and scoop the flesh into a bowl. Add the lemon or lime juice, salsa, and garlic powder. Mash it together with a fork until you get the consistency you prefer. Add a pinch of salt and taste. If you can't taste the avocado much, add a bit more salt. If it's a little flat, dribble in a little more lemon or lime juice. If it's not spicy enough, add a little more salsa. Try more garlic powder to see how that changes it. Play with it and you will find your "ideal guac balance point." This is the secret to excellent guacamole. Stir in cilantro and onion at the end if using. By the third time you make this recipe, you won't bother to measure—you'll just put the ingredients in and start tasting. 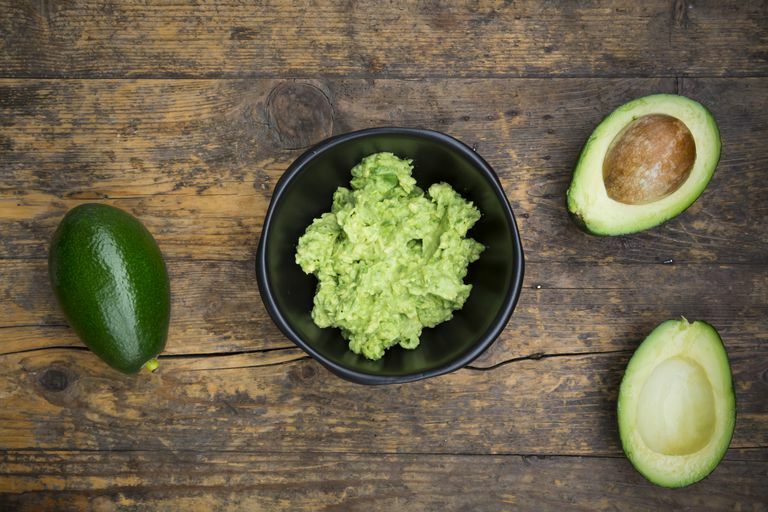 Guacamole is a great way to get lots of healthy fat and fiber into your diet. For a healthy low-carb snack, serve it with vegetables such as cucumber, bell pepper strips, or jicama. Also, try it with fajitas or nachos.